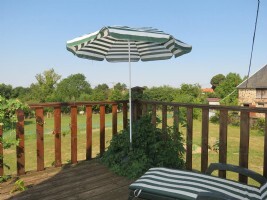 A great property for anyone with animals as all the land is fenced in. 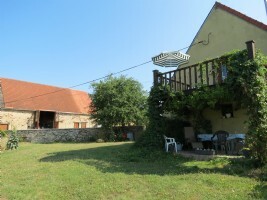 This 4/5 bedroom farmhouse comes with a livestock barn, a large outbuilding/barn (234m2) and fields adjoining the property. 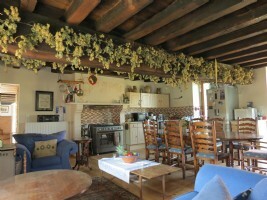 On the ground floor you enter into a large open plan kitchen/dinner/lounge (43m2). Off to one side is a large hallway or potential office, with stairs up to the first floor. 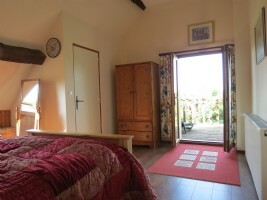 Through the hallway, is what is currently being used as the main bedroom with an en-suite shower room. 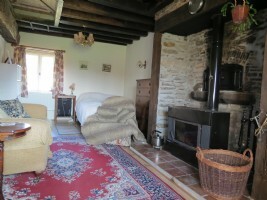 This room could be used as a second lounge or snug, as it has a wood burner and a bread oven. Off to the other side of the main living space is a utility room, boiler room, storage room, toilet and another set of stairs to the first floor. On the 1st floor, there is a double en-suite bedroom with a balcony overlooking the property’s fields and the stunning Creuse countryside. Also on this floor is a large open room (43m2) with beams and original features, which could be separated in to two rooms, a large hallway which could also be an office, another bathroom and another large double bedroom. 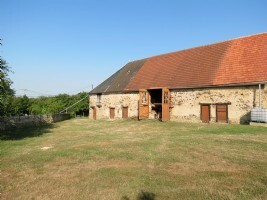 This property also benefits from a livestock barn – currently used for sheep - which has direct access to one of the fields adjoining the property, a large outbuilding/barn (234m2) which is used for storage, a garage, a workshop and more livestock barns. 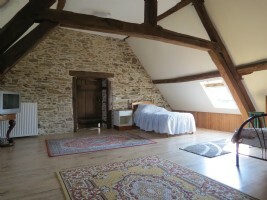 This could easily be converted in to another house or gîtes. 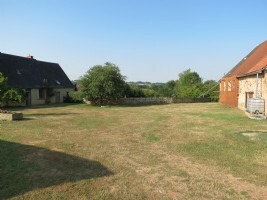 There is also a garden area and vegetable patches and another field within the property’s boundaries. 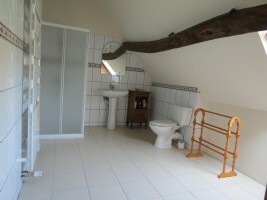 Nearest village is Sainte-Sérève-sur-Indre with plenty of amenities including two restaurants, boulangerie, shops, post office, butchers, pharmacy, hairdressers and primary school. 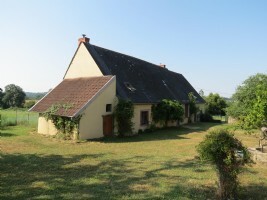 Boussac, only 15km away, has lots of amenities too. 22km from La Châtre in the north, 43km from Montluçon, 52km from Guéret in the south and 135km (1h 45) from Limoges Airport.